Our forum activity star charting can be found here! The event forum is here! Feel free to post any event-related threads here. This little cavern is well-known among Mycenians for its state of eternal twilight, as well as its array of beautiful stars. A popular camping and stargazing destination, Twilight Nook sees an almost constant stream of visitors, and is an especially popular destination during the summer months, when several of its most well-known constellations can be seen glimmering in the sky. Unfortunately, even this beautiful destination was not left entirely unscathed by the recent magical instability within the Cave’s core. Though since rectified, the rumbles and unnatural weather patterns that plagued the Cave over the past several months took their toll on this little cavern, apparently knocking several prominent stars from the sky itself. Without these stars, many of our most popular constellations are unrecognizable! Visitor numbers have been dwindling as a result, and if things go on like this, Twilight Nook will be ruined! Much like last summer’s Legend of the Lost Trove, this event will be comprised of several challenges aimed at helping Lightyear set the Twilight Nook sky back in order. This will be a play-at-your-own-pace event, with all of the challenges available from the start of the event to allow players to complete them at their leisure. The Twilight Nook sky is full of constellations — and eight of them are missing vital stars. You can reach each of the challenges by clicking on the Constellation Cards displayed on the event hub page, and once completed, you will see the cards change to reflect your progress. Once you’ve collected all of the missing stars, it’s time to place them back into the sky where they belong with one final challenge! This event will begin on August 3rd at 00:01 ST and end at the end of the day on August 17th. Lightyear’s amassed lots of fun goodies for anyone who helps him, but he’ll only be offering them until the end of the day on August 24th, when the prize shop will close for good. There will be one forum activity running alongside the event, called Star Charting. This activity will award one participation item per player — an avatar frame. More details about the Star Charting activity will be made available at the start of the event. Star Charting can be found here! Like last year, the prize shop will be made available to you as soon as you complete the event. The prize shop will then open for everyone regardless of individual progress at the end of the event’s duration. Players will receive 2 points for every Constellation Challenge they complete, with the ability to earn a maximum of 16 event points. Players who complete all of this event’s challenges and unlock the prize shop before the end of the event will be awarded their choice of one of the event coats. There are a total of 2 event coats and 8 items available for purchase in the prize shop. The event coats are a Cat ineki and a River Kelph. They will be priced at 8 points each, and will be able to be purchased as a mushroom or pet. The items will be priced at 1 point each. 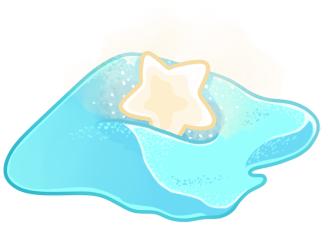 Additionally, there will be one avatar frame item obtainable by participating in the Star Charting forum game. Players who attain 100% completion for this event will be able to obtain one of everything, if they wish. Players who do not will be limited in their prize purchases by the number of challenges they’ve completed. Join the search on August 3rd! The items look amazing and I want them all, right now immediately. I’m so excited for this event, Legend was so much fun! Only this time I will do my best not to try and finish everything in one night. We’ll see how that plan goes. So max 16 points? Right? “There are a total of 2 event coats and 8 items available for purchase in the prize shop. My anxiety got the best of me and I missed that detail. So much space, need to see it all. Oh goodness!! My favorite theme!! Hurray, a cool event about stars! You could not have planned this more perfectly to appeal to me if you had asked me ahead of time, this is wonderful! I will try to take it easy and not rush things, but I can tell I will want to. Ah man, all the major events lately play to my favorite canon characters’ strengths really well. I’m going to have fun with this! 2 great things! Space and play at your own pace! I am super excited about this one! I hope I have the time to complete it all! I loved legend of the lost trove despite its flaws. + I love space themed characters <3, so I’m really excited! hello it has come to my attention that I very much need all of these items for my dressup game please and thank you.